Lainey Dent 10, is a self-proclaimed creative, self-starter, who loves to help people. An older sibling got Dent interested in journalism. Dent also enjoys photography, she is also inspired by her dad and other siblings. Dent said she likes to help people out of the kindness of her heart. Her favorite season is summer and she loves to dress to stay cool during the hot Kansas summers. During the summer Dent likes to read articles about things that interest her, she does not have a favorite writer or columnist. Also Dent love to watch Netflix during the summer. Dent enjoys most music except for screamo. She said her strength academically depends on the day, her weaknesses are remembering things. Dent would rather explain a complex idea simply. Quality means good to her. She also believes she should do something to do well. Teamwork is compromising to her, also using success to motivate her to do better. Also doing stuff on her own means independence. “Teamwork is important to me,” Dent said. Dent said could have one superpower it would be invisibility, so no one would know she was there or who it was. She said if she could be anyone for a day she would be Blake Lively, because she is a celebrity. Dent said she would love to meet Zac Efron because he hot, Cameron Diaz because she's fun, and Abe Lincoln because it would be cool. If Dent could change anything about herself, she would be two inches taller she said. 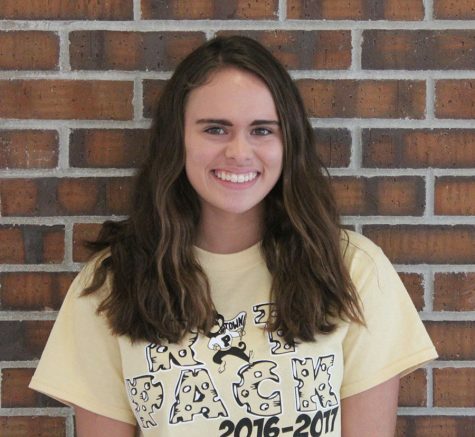 She is an independent person and likes to be involved with SADD and journalism. Dent said her future hopes include going to college and then getting a good job. She said she has aspirations of visiting New York, Paris and Greece before she dies.